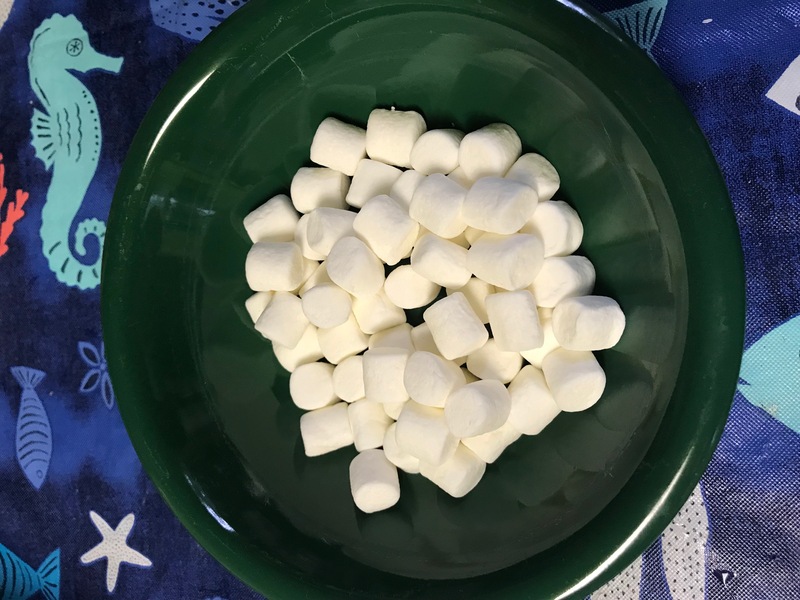 Our previous experiment with marshmallows was wholly qualitative due to the immediate desire to test a claim, coupled with being well away from the primary testing facility and its drawer of thermal devices. Due to the miracle of Amazon Prime…. wait, never mind. An unfortunate shipping delay prevented delivery of temperature sensing equipment before return flights home. We were not able to redo marshmallow melting with equipment in the same climate as the previous post. While Houston and Houghton are only 2 letters apart, they are separated by over 17° latitude (29.5589° vs 47.1211° N), meaning summer climates are quite different1,2. However, the temperature sensing equipment managed to find its way up north and “fortunately” (for science), we had a hot spell. With equipment in hand and it being 90° and sunny, it seemed like a reasonable time to retry the marshmallow melting trials despite the change in location. 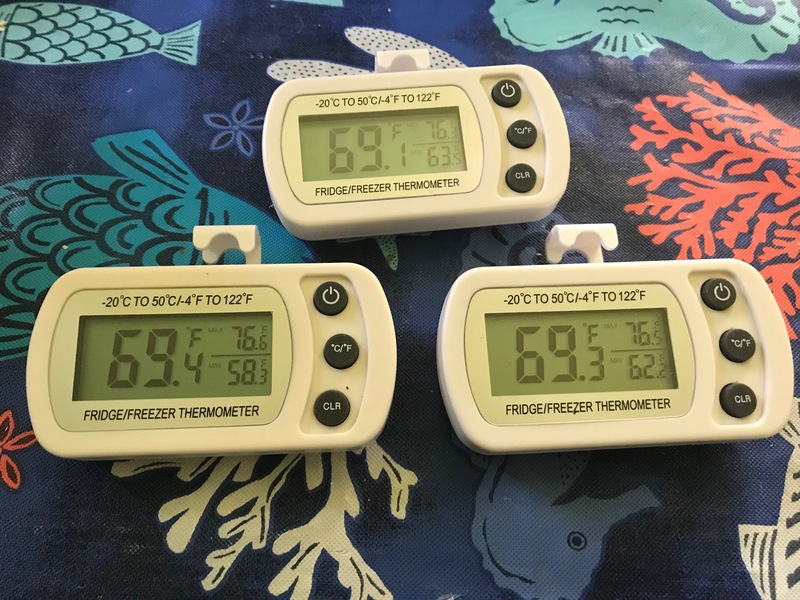 extension of Segal’s law: a science-doer with four thermometers will pick the ones that are closest to being in agreement. The thermometers were placed inside the smaller zip top bags to protect them from expected marshmallow goo. 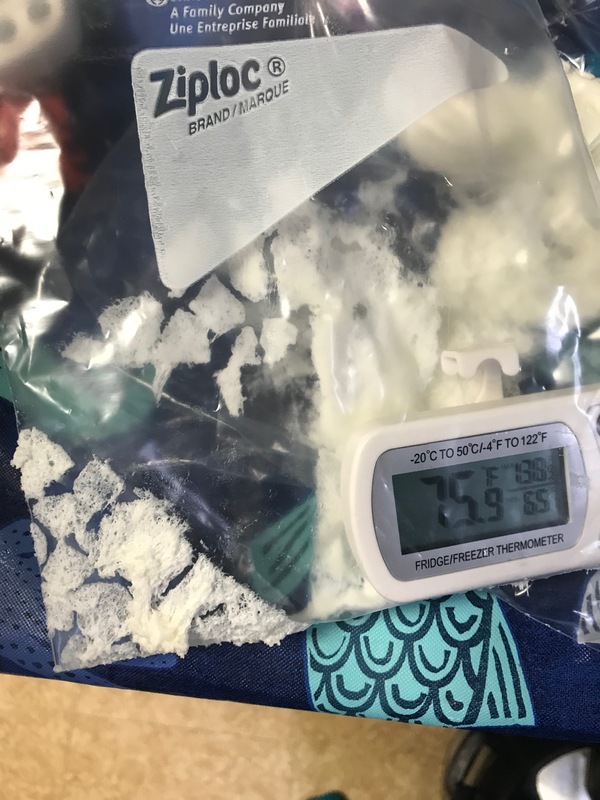 The protected devices were then placed inside the gallon zip top bags and mini marshmallows were added until each bag weighed about the same (~90 g, combined mass of the thermometer, protective bag, outer bag, and roughly a handful of marshmallows). The car was parked between 7:30 am and 2:20 pm. initially the LCD screen was so hot it was completely black and the device could not be read. After a brief car ride with air-conditioning, the screen started to work fine and still had recorded temps. Underseat sample: max temp = 90.0°F, marshmallows are unscathed. There was almost a 50°F difference between under the seat and on the seat! These marshmallows look like they could be fresh from the bag, but these had actually spent half a sunny day stashed under the car seat. Like the previous experiment, under the seat was surprisingly marshmallow-friendly. The thermometers let us know that the under-seat space managed to stay nearly a whopping 50°F cooler than the seat surface (there is a reason I didn’t want black leather seats…maybe the next car of great science can have different seat materials). One interesting difference between this run and the one in Houston was that the seat sample obviously got hotter than the visor sample this time, which is opposite of what we observed at the Johnson Space Center. Two key differences that might play into this are car color and seat material; here the car was silver with black leather seats, and in Houston, the car was dark blue with black cloth seats. 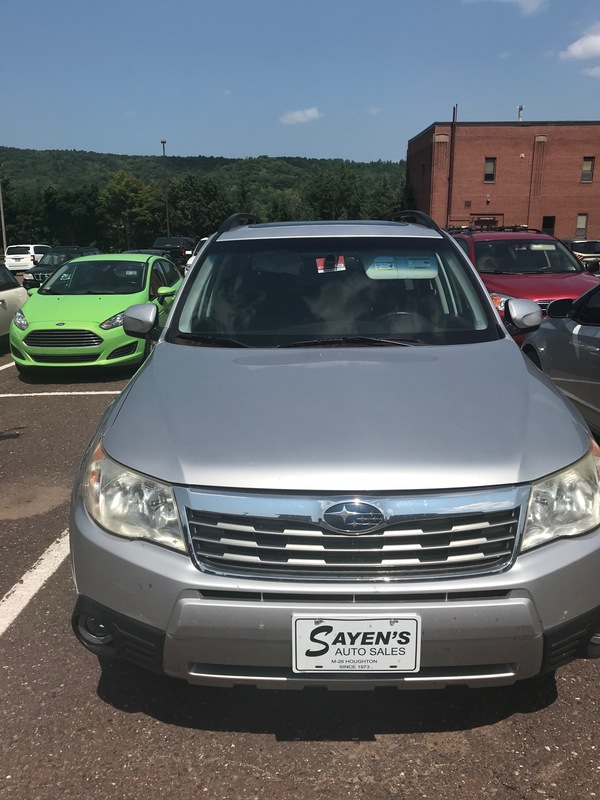 Without having time lapse cameras or frequently interrupting other events to visually check for sun distributions inside the car, it is difficult to know for sure why the results are different. The ghosts of marshmallows past are evident on the outside of the bag protecting the thermometer. This is fascinating–I would never have guessed that it would be so much cooler under the seat! I’ve always stored heat-sensitive stuff either under the seat in back or on the floor covered with insulation (blankets, clothes, gear) and in coolers when possible. Insulation counts! I expect that the dark car interior got hotter near the roof and the overall air temperature was higher. I knew a man with a converted school bus which had the engine hood painted red which caused overheating problems in the South.